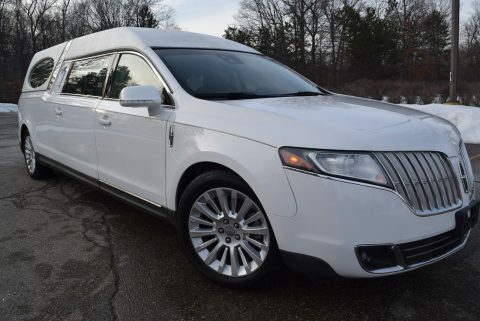 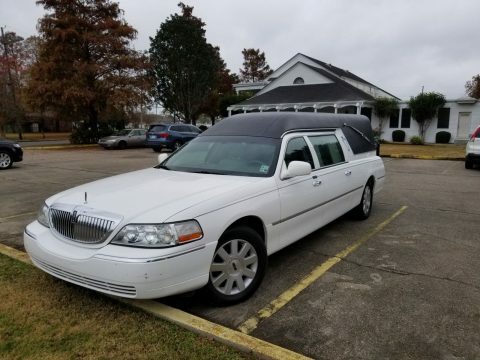 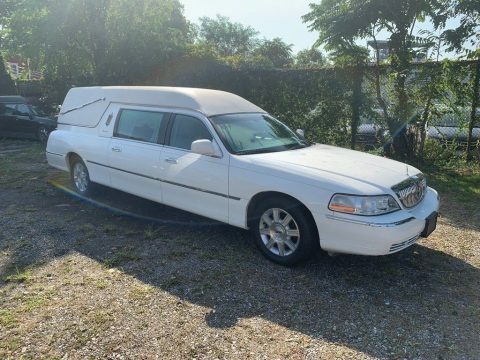 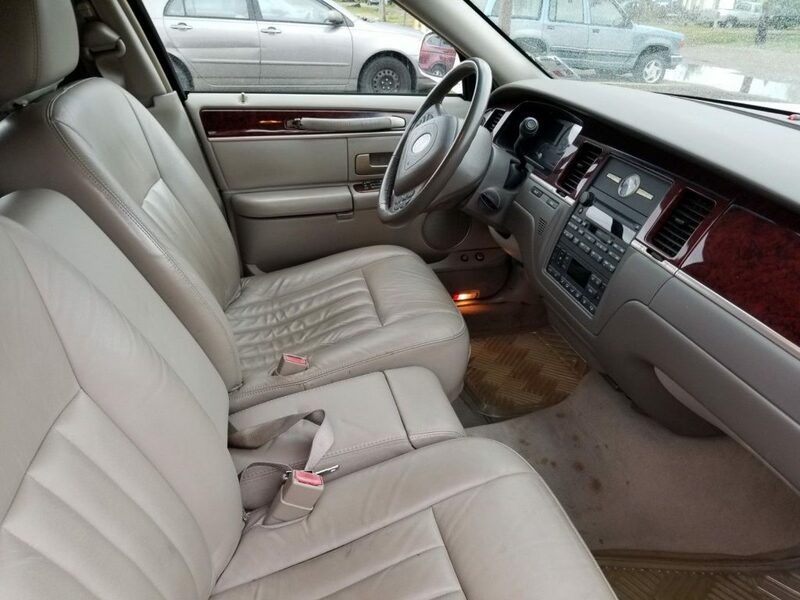 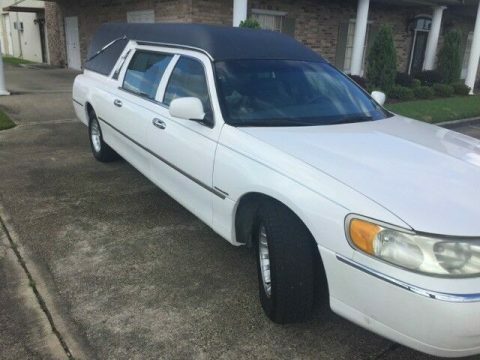 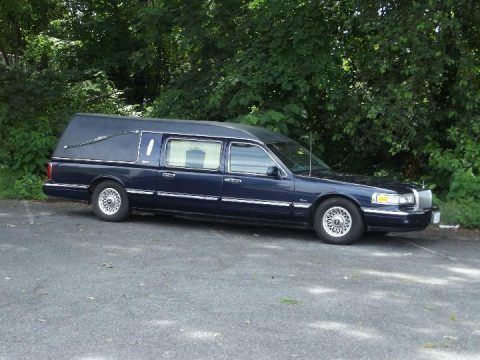 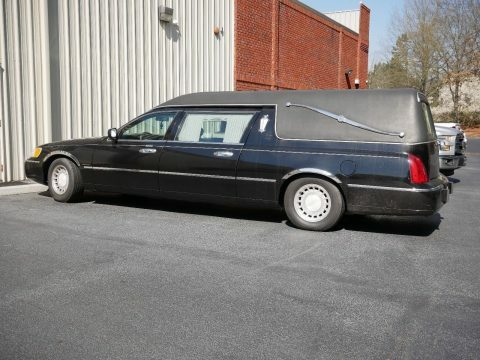 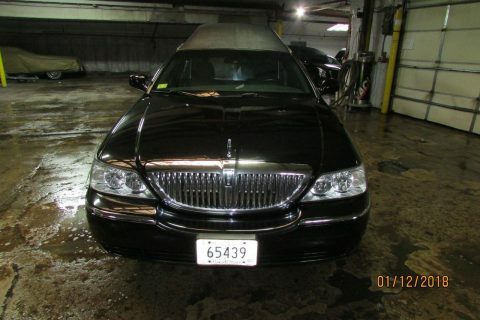 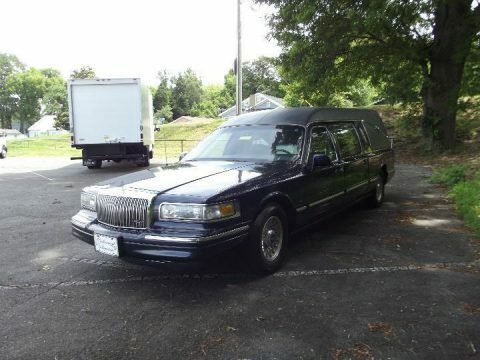 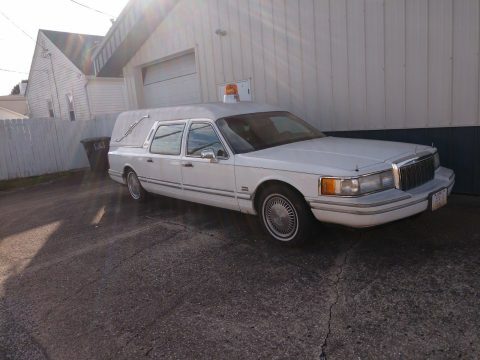 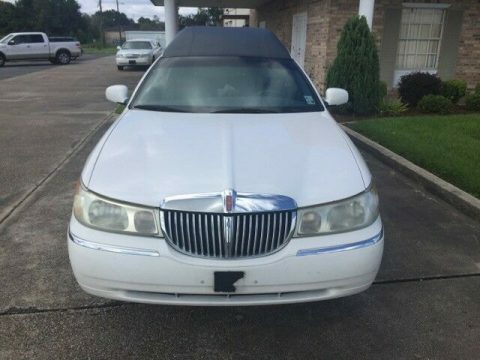 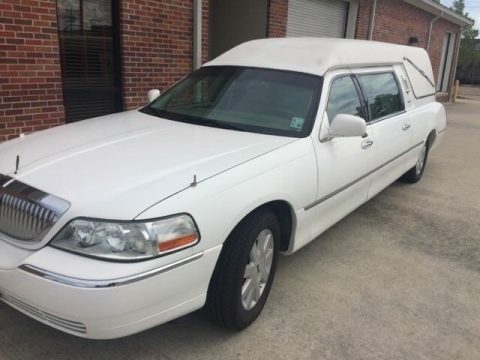 2004 Lincoln Federal hearse, white body with black vinyl top. 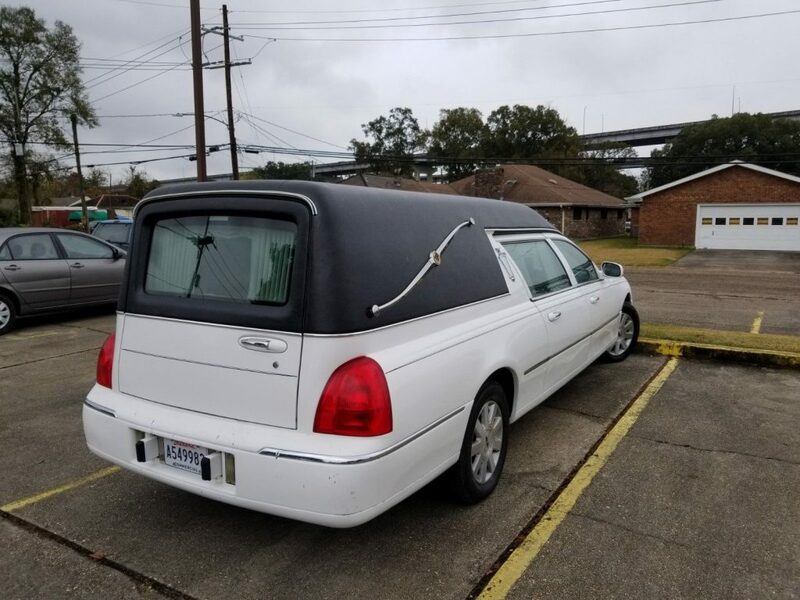 Left-hand hinge. 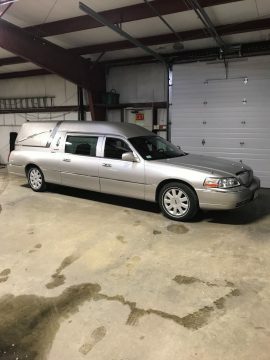 Runs excellent. 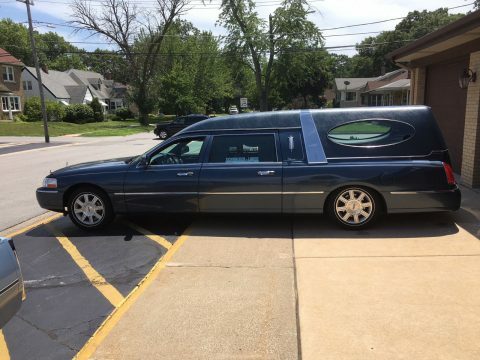 Always stored inside. 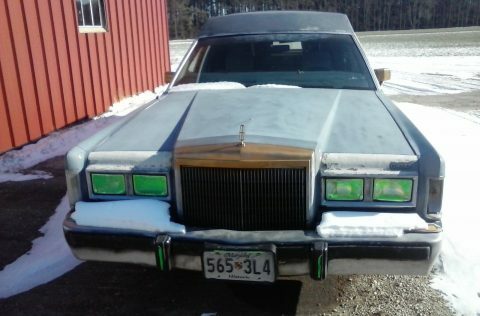 Southern car that has seen no snow or salt – body is rust-free. 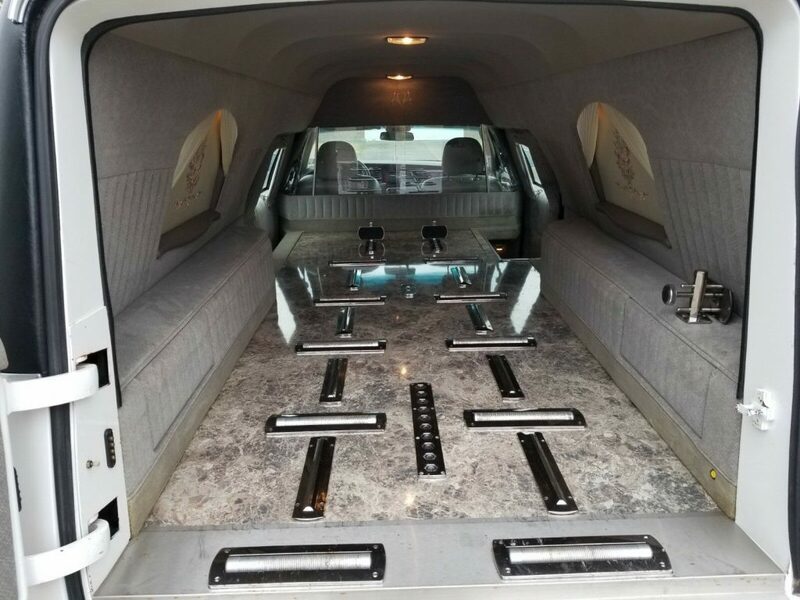 Rear floor is marble grey and looks brand new.